Unique, unconventional, with an attitude all of its own, the MSX125 may be compact and incredibly nimble, but it rides and feels like a much bigger machine. 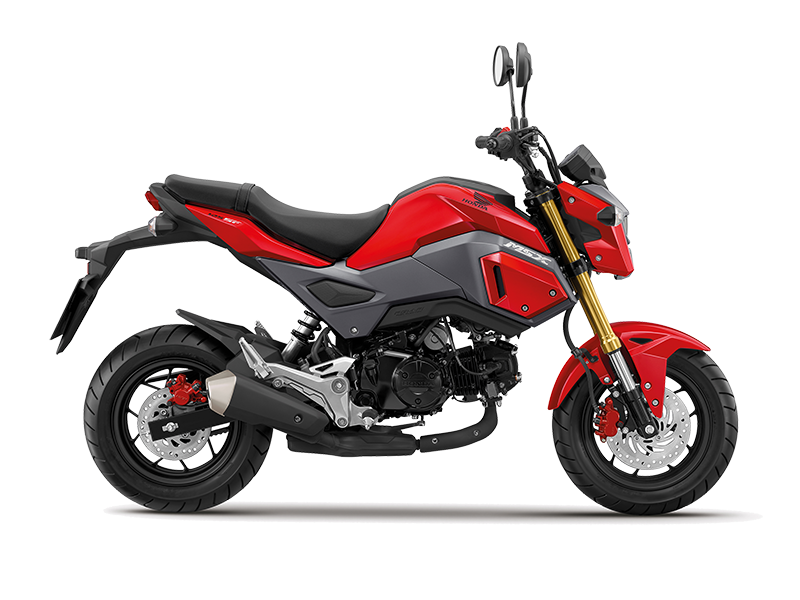 Clutch, gear and throttle control are all operated in the same way you would a full sized bike, while underneath its bold muscular body are a whole host of features that create a balanced, agile and comfortable ride. The MSX125's engine is based on our ultra reliable 125cc PGM-FI engine ensuring a responsive, economic and efficient ride. 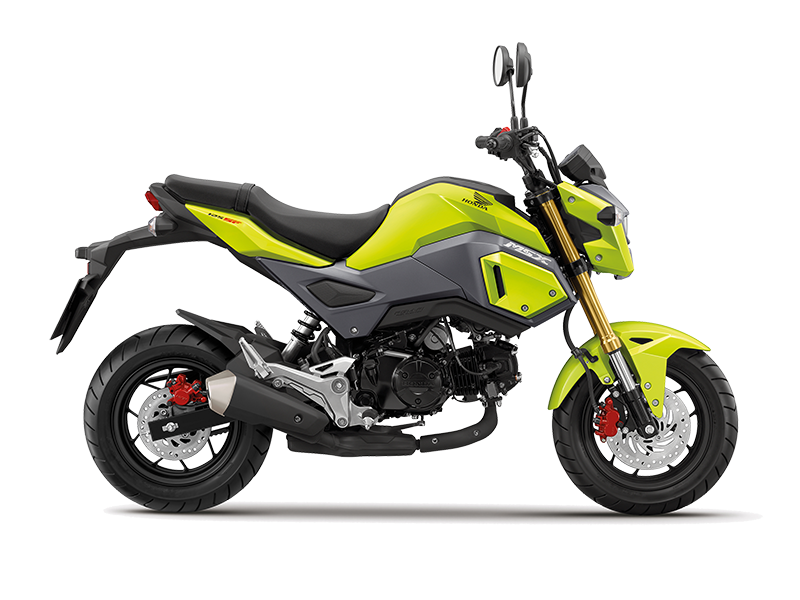 Even when it comes to safety the MSX125 punches above its weight with hydraulic single rear disc brakes providing assured stopping in all conditions. A powerful projector headlight and LED rear light add to its safety. If you're looking for serious fun, look no further than the MSX125.